perfect combination! I love the huge chunks of gingerbread in there. I really think all ice creams should have large chunks of goodies in them you know? I mean what's the point otherwise? Lordy, what a combination! Can it be more perfect? And that color! I want to make it NOW. THIS MINUTE. This looks really delicious! 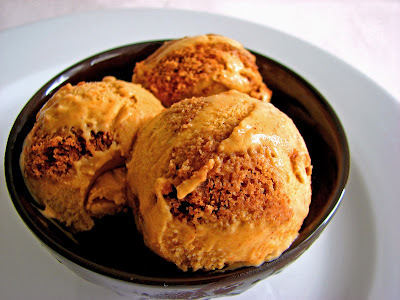 It's going to be an ice cream filled holiday season, I can see that now - oatmeal ice cream, pumpkin gingerbread ice cream. . . do you have any wonderful ideas with the flavors of egg nog? This looks like a perfect combination! 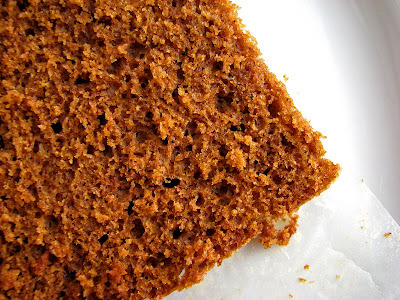 The gingerbread there adds texture because it is in chunks! That's some good looking ice cream! Well this just screams fall, doesn't it? I'm in the southern hemisphere at the moment, but looking forward to heading home to autumn and and an ice cream maker! I recently made a pumpkin pie ice cream and topped it with gingersnap crust crumbs. Mixing some gingerbread right into the ice cream is a great idea! This looks absolutely delicious. Kind of reminds me of being a kid and stirring up my cake and ice cream into on big glob. A very delicious glob. 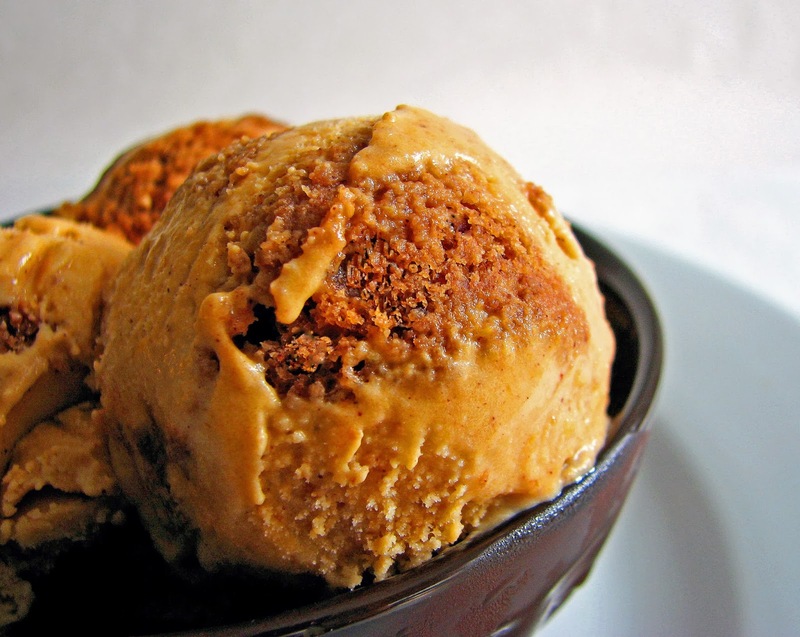 Valerie-jeanne, I'd never had pumpkin ice cream before, so this was a surprise bit of deliciousness for me. I haven't made egg nog ice cream but if I think of a way to make a light version that isn't too heavy, I might give it a try. Kevin, this ice cream would probably be even better with ginger molasses cookies folded in. I like the idea of the really spicy chewiness of those cookies. Lori, yes - that's pretty much what it is! It also reminds me of an ice cream sandwich where you get a little bit of both in each bite. I've become pretty obsessed with ice cream making lately and have a few more interesting and very tasty combinations coming up ahead. You are a genius! This is one fantastic recipe, move or Ben and Jerry!!! 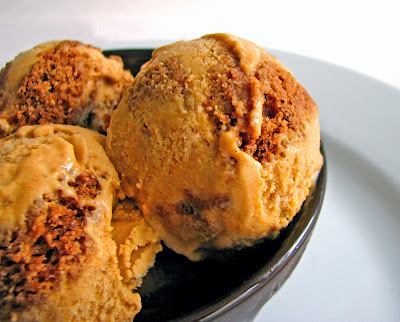 I've been occasionally thinking about both pumpkin and gingerbread ice creams lately, but this will do nicely! LOVE the swirl of gingerbread. I'm so making this for thanksgiving!! I have been looking for a pumpkin ice cream recipe and I love this idea! Just landed on this blog and I definitely look forward to following. It's August now so I'm not really thinking Pumpkin, but maybe....If I do wait to enjoy this recipe I sure hope I can find canned pumpkin. Last fall it was scarce in FL stores.